Apple is planning on getting in on the new and exciting augmented reality technology and who can blame them. Everyone in the technology industry is excited to see what is going to come about and speculation has been happening wildly at the thought of it. A device that is made by Apple and that can use augmented reality technology could absolutely change the playing field for consumers and developers both. New opportunities will arise upon the release of this new technology. Reality based refers to augmented and virtual reality. They are sometimes referred to as reality altering also. They are grouped together in this way because they both use virtual and digital elements to change the way that the user sees the world around them which means throwing them into a totally different reality. With virtual reality there are no similar elements between the alternate reality and real life. Augmented reality improves the physical world by layering and creating holographic images. This technology is not very exciting yet and is still very new to the world which means it has quite a few limitations. Microsoft, Apple’s arch nemesis and biggest competition, has finished developing and will soon be releasing a device made for augmented reality called the HoloLens. This device, the HoloLens, has been referred to as mixed reality since it is believed to be step up from the already existing augmented reality technology. 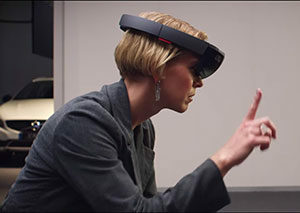 The HoloLens is a device meant to be mounted on the user’s head so that they can interact with different virtual elements that integrate with the different physical components of the user’s surrounding environment. This means that virtual objects can bounce off of surfaces and more unlike other augmented reality apps that are operated as overlays. This is accomplished by using spatial mapping which operates in real time to provide information to the holograms or virtual models. 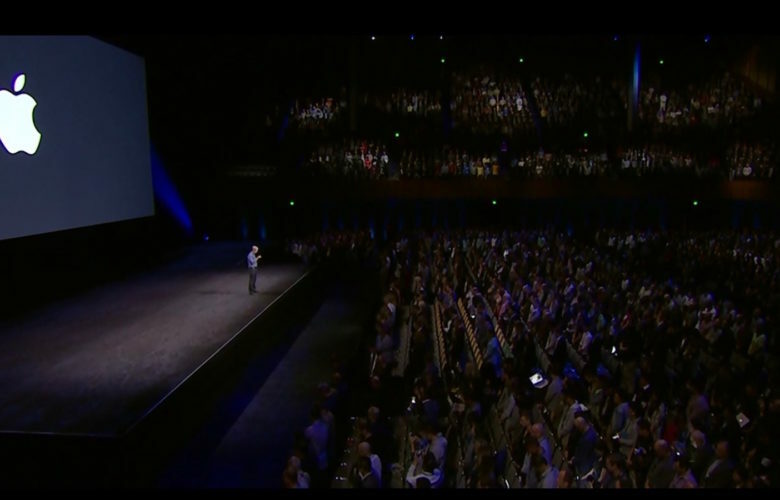 An Apple augmented reality device would also operate like the HoloLens. The developmental edition of the Microsoft HoloLens has been released already for use by developers as well as businesses. There is not an official release date for the retail version of the HoloLens but it is likely that it is not too far off. Right now there is no way to tell what direction augmented reality will be taken in because it is still so new to the world. Either head mounted devices such as the Google Cardboard headset will be made or mobile based, IPhone inspired development will be chased. Either way this technology will open a lot of doors to new opportunities. Apple will likely stray from adding new features to augmented reality technology and they will probably instead choose to make what has already been made and used better. The one thing that is known for sure is that whatever is released and whoever releases it, it will be a game changer in the world of technology and the people in the tech industry are beyond prepared and excited to see what is coming. Who’s Standing Behind Magic Leap’s AR Tech? Which One is Better – AR or VR Games?